A mouth full of metal isn’t exactly an appealing alternative to crooked, misaligned teeth. You can say no to both! General and cosmetic dentist Dr. Barbara Baxter offers Invisalign® teeth alignment treatments at Barbara Baxter, DMD in Washington, DC. If you want a beautiful smile without the hassle of braces, call Barbara Baxter, DMD or book an appointment online today. For major alignment and orthodontic issues, a different treatment may be recommended by Dr. Baxter. To see whether Invisalign is the best option for you, visit Barbara Baxter, DMD for a consultation. Dr. Baxter will start by examining your teeth to check that Invisalign is the right choice for you. She may take a physical impression of your teeth or use a digital scanning device to create 3D images. Dr. Baxter will use these to develop a unique treatment plan for you. Then Dr. Baxter customizes clear, plastic aligners that fit your teeth. The aligners gently move your teeth into ideal alignment while you wear them. As your teeth begin to shift, new aligners may be made. Until your smile is perfect, this process will keep going. 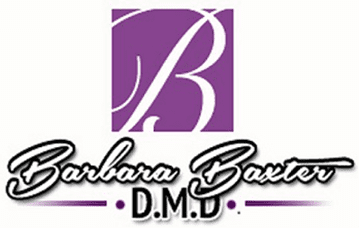 Call Barbara Baxter, DMD or book an appointment online today to talk to Dr. Baxter about straightening your teeth without unattractive, uncomfortable braces.